The Japanese consumer electronics giant, Sony has announced a new Walkman series that features an integrated One Seg Digital TV tuner – the Sony A910 series TV walkman. Apart from watching TV, it still can support wide variety of audio/video formats and offers noise cancellation as well. 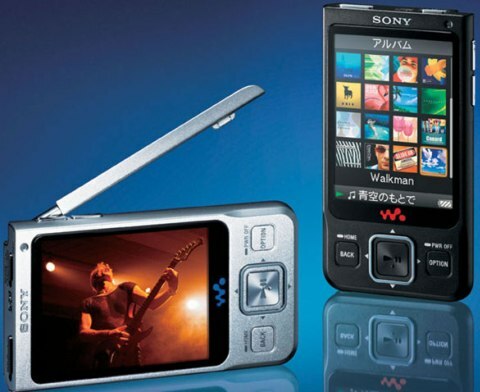 In addition, the new TV walkman’s lithium ion battery will provide up to 6 hours of TV viewing with its 2.4 inch screen display and up to 36 hours of music playback. The latest Sony NW-A910 series that available in three capacities including NW-A919 16GB – 45,000 Yen ($ 390), NW-A918 8GB – 35,000 Yen ($ 300) and NW-A916 4GB for 30,000 Yen ($260) will hit Japanese market in coming November.